While the focus of many animal activists in the U.S. is zeroed in on theme parks like SeaWorld for their captive marine mammals, other aquariums and marine parks are ramping up their orca programs. According to a report by Leah Thompson, Associate Director of the Center on U.S.-China Relations at the Asia Society, two wild orcas caught in Russia's Sea of Okhotsk will reportedly appear in the tanks of Ocean Kingdom, a park in Hengqin, China that's been called "the Orlando of China" for its recent surge of parks. The reports have not yet been confirmed by the park or the company that owns it, the Chimelong Group, the park recently hired an experienced orca trainer. Marine mammal experts and scientists in the country assert that Chimelong has already purchased the orcas. In an even weirder twist, according to a piece by Quartz in February, these are likely orcas that were slated to perform at the Sochi Olympics in Russia, but were shipped to China at the last minute. If the import did in fact happen, these would be the first case of international trade in orca whales from the wild since Iceland stopped allowing the capture and export of the species in 1990. They would also be the first captive orcas in China -- a fact that worries many animal advocates, who see China as the next frontier for large marine mammals in captivity. Animal activists are already pushing back in China and abroad. Humane Society International, Animals AsiaAnimals Asia, Earth Island Institute, and the International Fund for Animal Welfare along with more than 70 Chinese groups wrote a letter to Chimelong's CEO expressing "deep concerns" with the new act at Ocean Kingdom in February. And the movement has even reached China's Minister of Culture, Cai Wu, who was delivered an open letter signed by 31 local and international animal welfare organizations asking him to ban animal performances. David Neale, Animals Asia's Animal Welfare Director, told Thompson that "the real worry is...precedent." I've been in and out of China for the past 12 years, and the development in the marine parks is astonishing. The numbers of wild-caught dolphins and wild-caught beluga whales that are in the country now is into the hundreds. 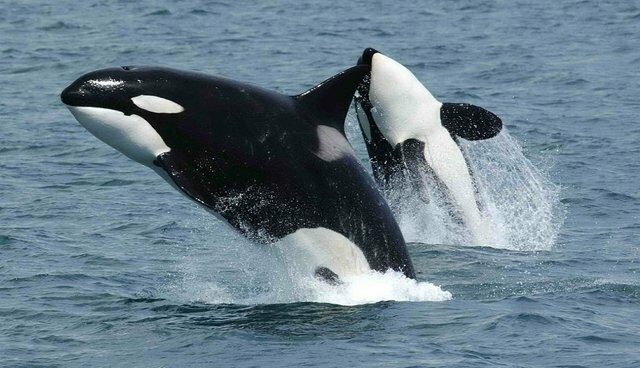 The worry that I have is that other parks will want to bring killer whales into their marine parks as well.